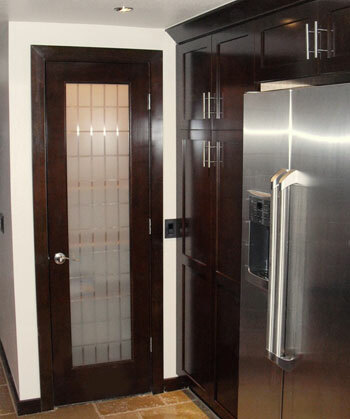 Interior door with etched grid pattern and frosted glass. May be used as French doors, pantry doors, pocket doors, pivoting doors, or room dividers. *Hardwoods require additional lead time. in etched safety tempered glass.